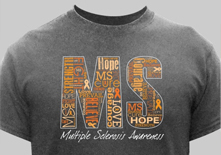 At MyWalkGear.com, our goal is to provide you with the awareness apparel, accessories, and swag that you need for your upcoming walk or fund-raising event. We understand the importance of educating others about causes that matter and need attention. 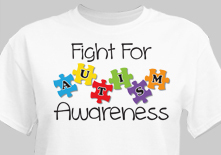 Since there are so many awareness walks and fund raising events happening nation-wide all year round, we wanted to provide a resource for those who are passionate about a cause to come and find the appropriate awareness t-shirt or gift for that issue. We offer merchandise for a variety of popular causes. Find everything from autism awareness shirts and hoodies to breast cancer awareness gifts and MS apparel all in one, convenient place. We also have our own philanthropic message at MyWalkGear.com. For every purchase, we donate a portion of the proceeds to charities and research organizations that correspond to issues that are important to our customers. 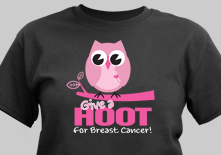 Each customer, upon purchase, gets to select which cause they would like their donation to go to. Because of this, we have been able to donate over $20,000 annually to various charities and research organizations.